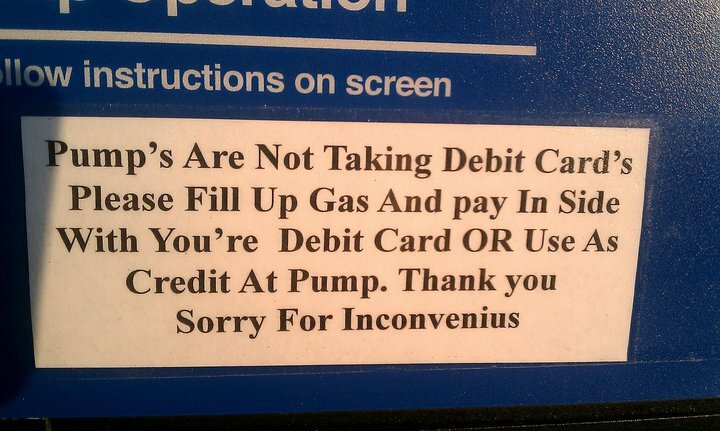 Don’t let us incovenius you in side. I’m aching from laughing so hard. They should totally fire Inconvenius, whoever that is. I just threw up on my mouth a little. Brilliant and I love the your/you’re , so many folks get that one goofed up! LOL! This should be on FailBlog. They must just think all the squiggly red underlines in Word are false-positives. No, sir or ma’am. YOU are the genius! Don’t thing they could load more abuse in there if they tried! OMG! This one is awesome…. Stop! Stop! It hurts to laugh so hard!